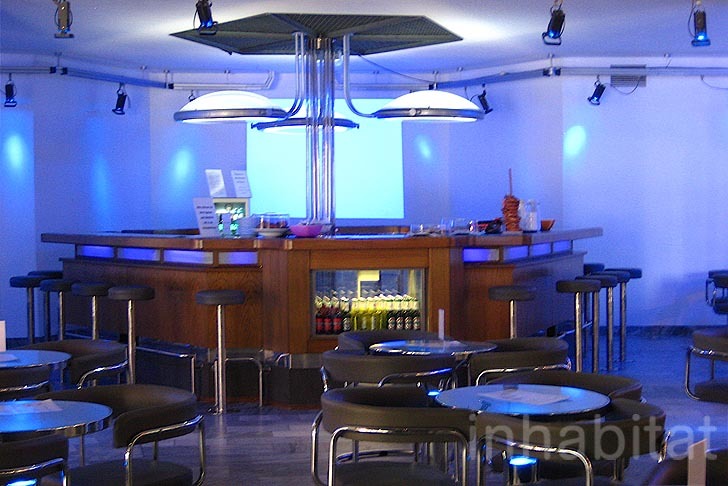 Located in Berlin's Prenzlauer Berg area, the <a title="Berlin's Zeiss Planetarium Has a Brilliant LED Ceiling and Über-Futuristic Cafe Inside!" 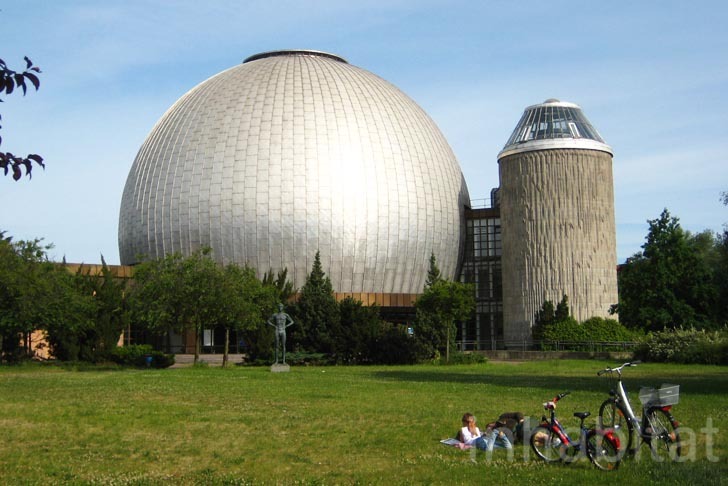 href="http://www.sdtb.de/Zeiss-Grossplanetarium.25.0.html" target="_blank">Zeiss Großplanetarium</a> -- Zeiss Planetarium -- is a striking spherical building with sparkling, LED-lit interiors. Designed by architect -- and ex-Nazi party member -- Erhardt Gißke, it opened its doors in 1987, just on time for the celebrations of the German capital's 750th anniversary. A great space for experiencing <a title="Berlin's Zeiss Planetarium Has a Brilliant LED Ceiling and Über-Futuristic Cafe Inside!" 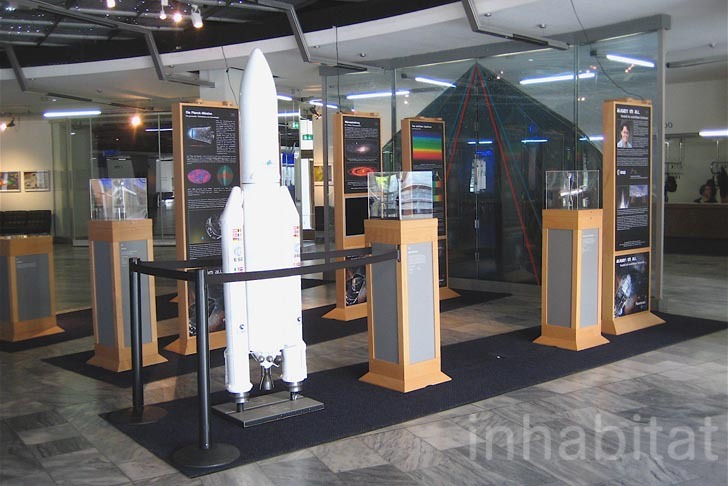 href="https://inhabitat.com/buenos-aires-spectacular-planetario-galileo-galilei-sparkles-with-thousands-of-leds/" target="_blank">astronomy</a>, the planetarium is also worth a visit, even if just for a cup of coffee in its über-futuristic hall. Berlin's Zeiss Planetarium is located within the Ernst-Thälmann-Park, a green space created as a 'socialist park'. 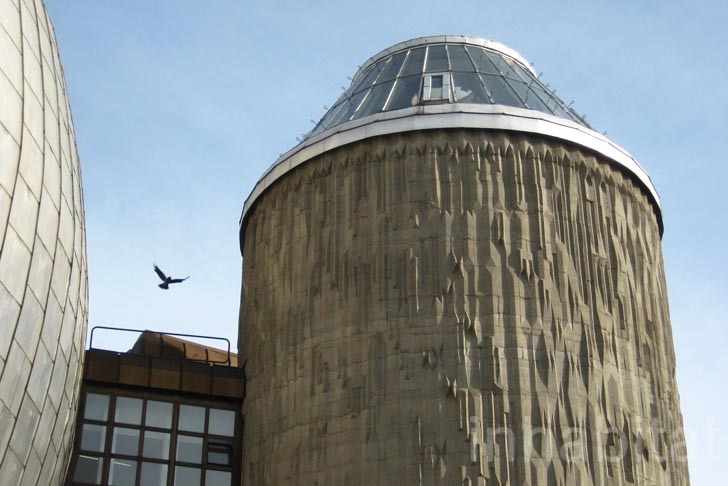 With a 100-foot high dome, the building features a textured concrete tower that shelters spiraling stairs. 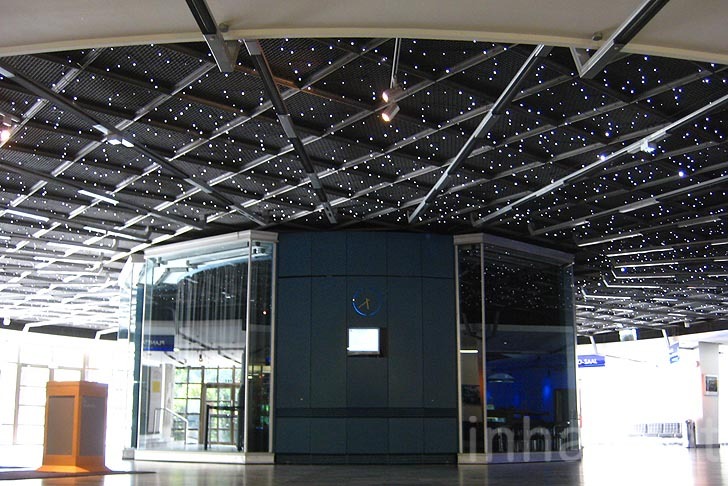 Inside the building, visitors are greeted with a gorgeous starfield ceiling, featuring thousands of sparkling LED lights. The round entrance hall features a permanent astronomic exhibition showing in an easy-to-understand manner the mysteries of our solar system. Wirh round tables and chairs matching the giant dome, a blue-litted futuristic cafe can be found on the ground. 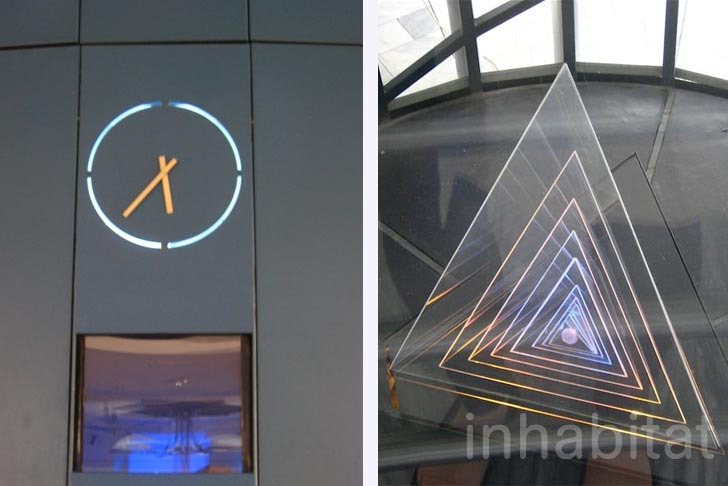 Full of interesting futuristic details like a back-litted wall clock and a changing colors-triangular sculpture, Berlin's Zeiss Planetarium offers a magical journey into the sky. 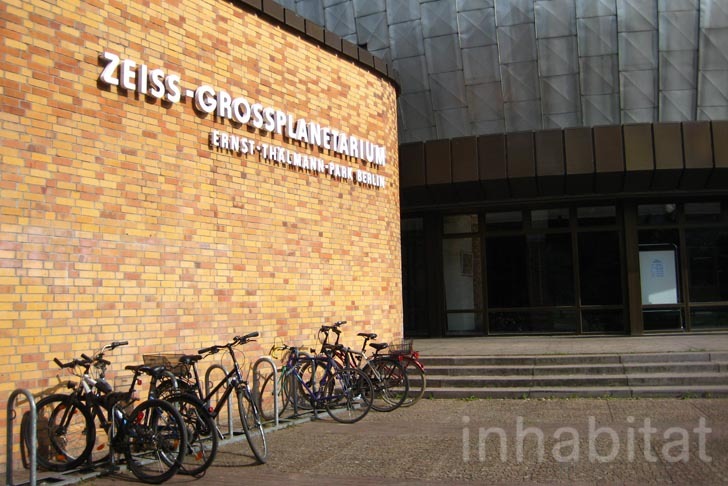 Located in Berlin's Prenzlauer Berg area, the Zeiss Großplanetarium -- Zeiss Planetarium -- is a striking spherical building with sparkling, LED-lit interiors. Designed by architect -- and ex-Nazi party member -- Erhardt Gißke, it opened its doors in 1987, just on time for the celebrations of the German capital's 750th anniversary. A great space for experiencing astronomy, the planetarium is also worth a visit, even if just for a cup of coffee in its über-futuristic hall.